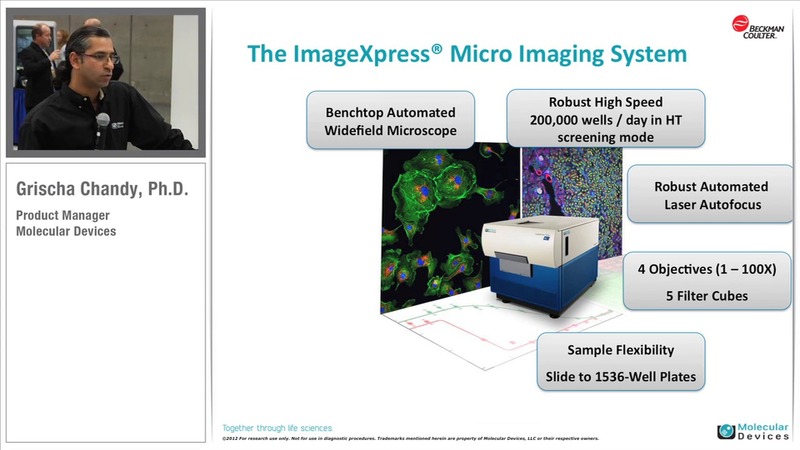 Learn how the ImageXpress® Micro XLS high-content screening system and MetaXpress Software from Molecular Devices can be used to quickly analyze cells, processing 200,000 wells a day. The system is suitable for a range of sample types, beads, colonies, cells, tissue, whole animal and macrostructures. Originally presented at SLAS.